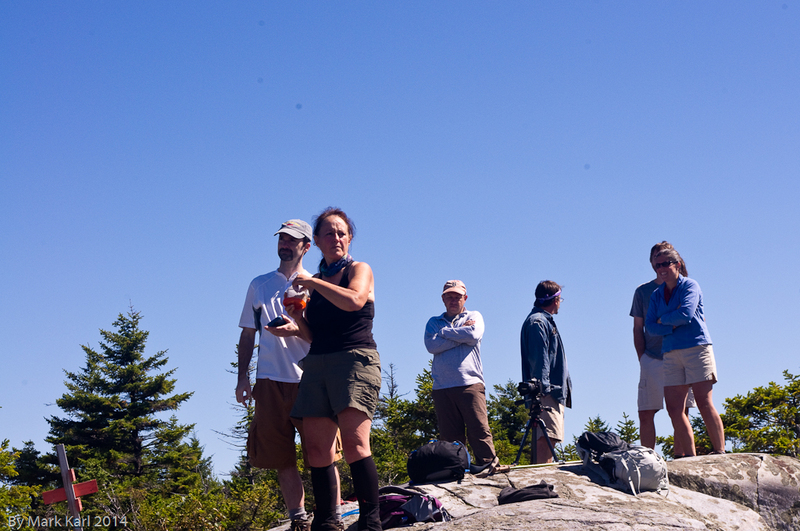 On Sunday, September 7th I went with a Meetup group on a hike to the summit of Mt. Cube in Orford, NH. I have live in the area since the early eighties and had never climbed Mt. Cube, but had wanted to for quite some time. This Meetup.com event for the Upper Valley Hiking Group was a good opportunity for me to go. 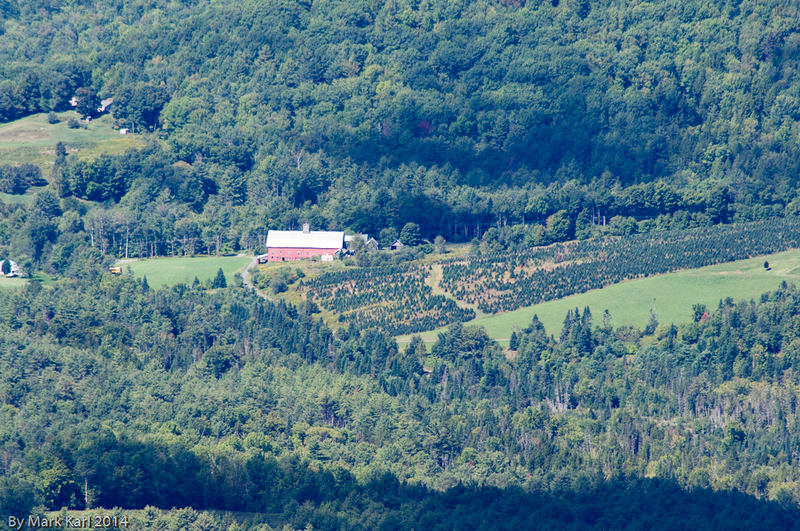 In the early eighties the trail crossed route 25A near the Thompson Sugar Shack. 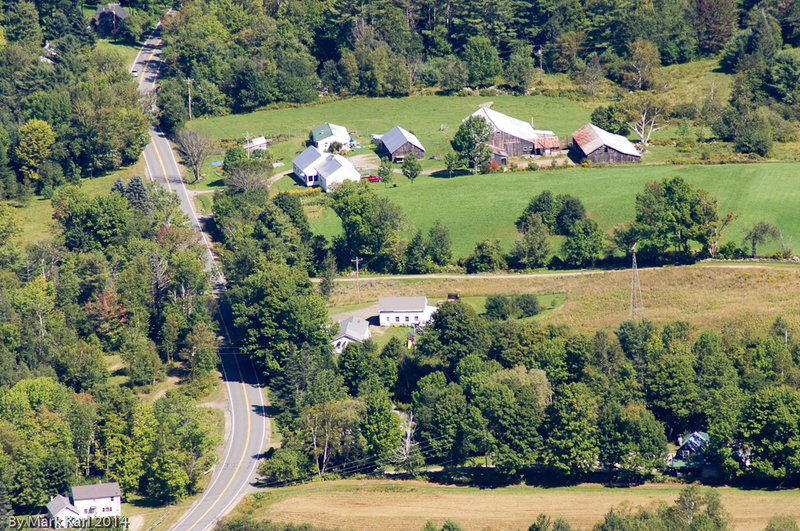 In the late eighties the Application trail was moved so that it crossed route 25A down near Lower Baker Pond. This made the distance to the summit longer. 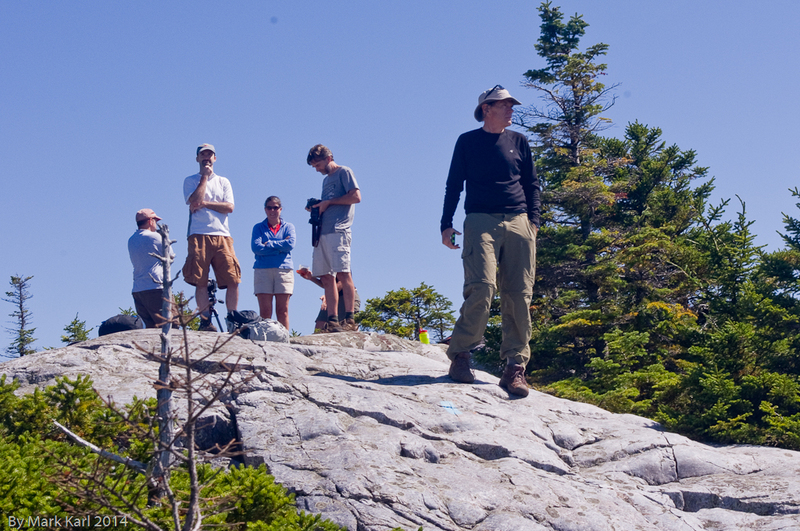 The Dartmouth Outing Club Wiki is a great resource for information about the trail. They rated the trail as easy. However, I would rate the trail as intermediate. The area around Mt. Cube has an interesting history. The Rivendell Cross Trail site has a great page on the Mt. Cube section of the trail. Naturally I had to check Google Earth carefully to identify all the landmarks we could see from the summit. 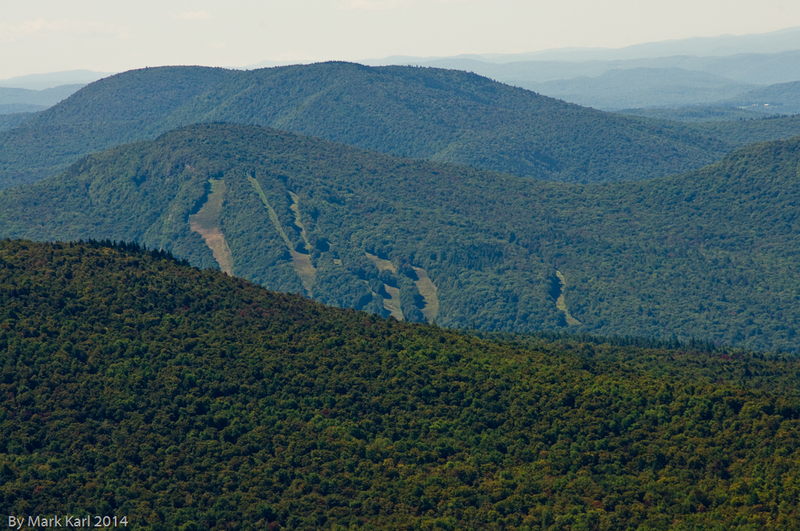 We first went to the south summit which gave us a view down the Connecticut River Valley and west into Vermont. Holt’s Ledge at Dartmouth Skiway. We had a nice view of Holt’s Ledge at Dartmouth Skiway. 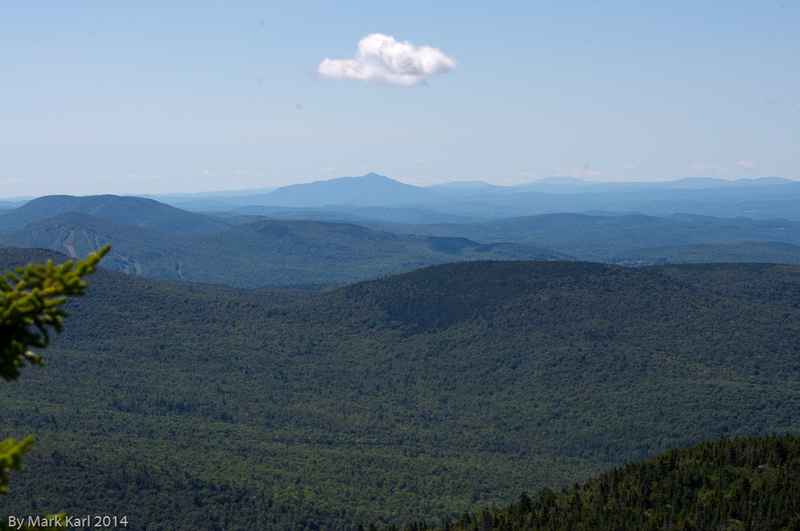 Looking south towards Mt. 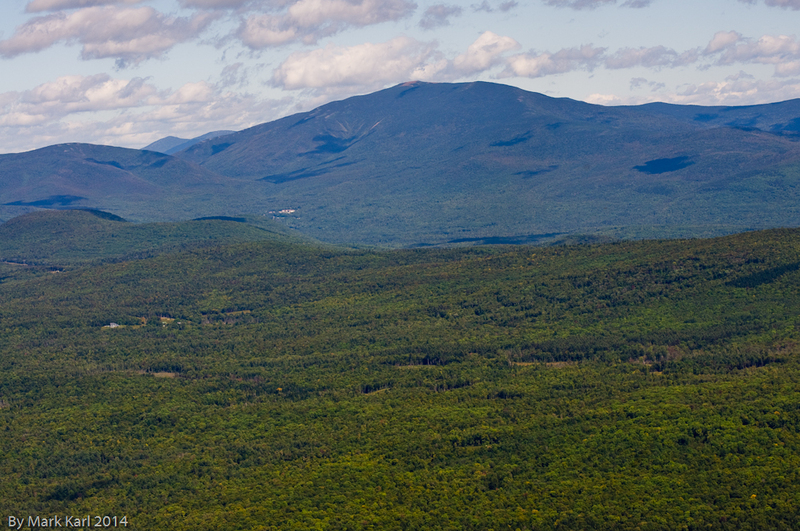 Ascutney. Looking past the skiway we could see Mt. 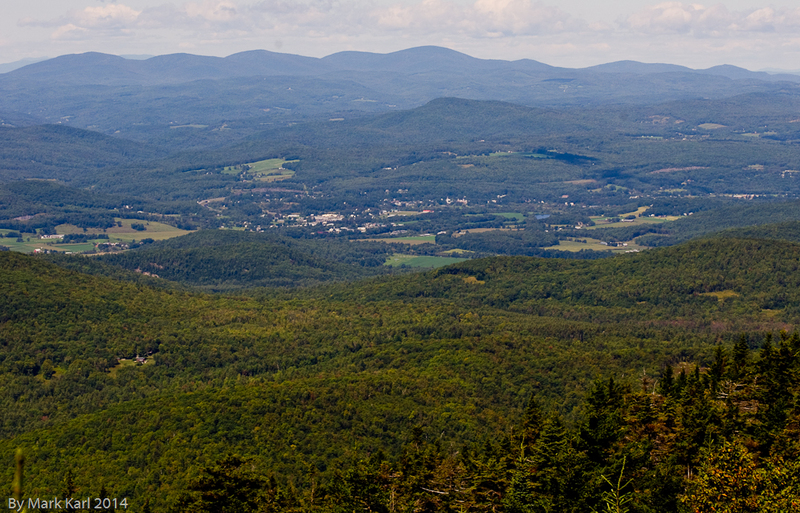 Ascutney down in Windsor, VT.
Bradford, VT from Mt, Cube south peak. 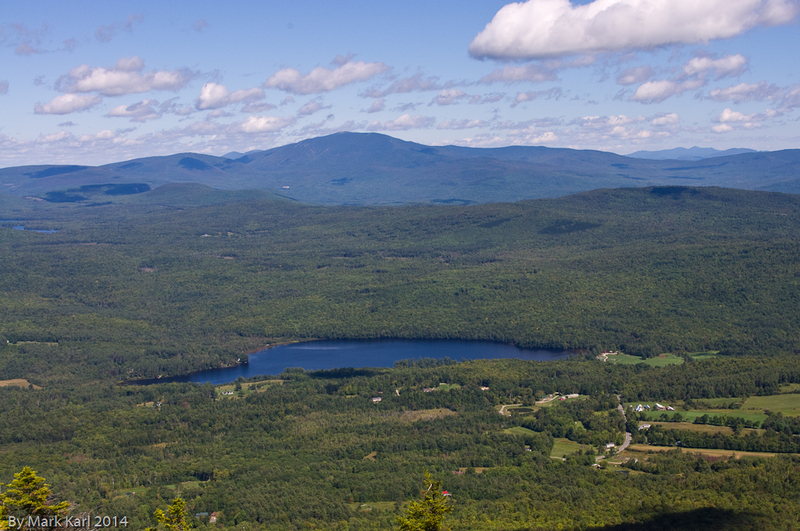 We had a great view of Bradford, VT from the south peak. Looking a little closer I got a great shot of the Mt. Cube products farm on Baker Rd. 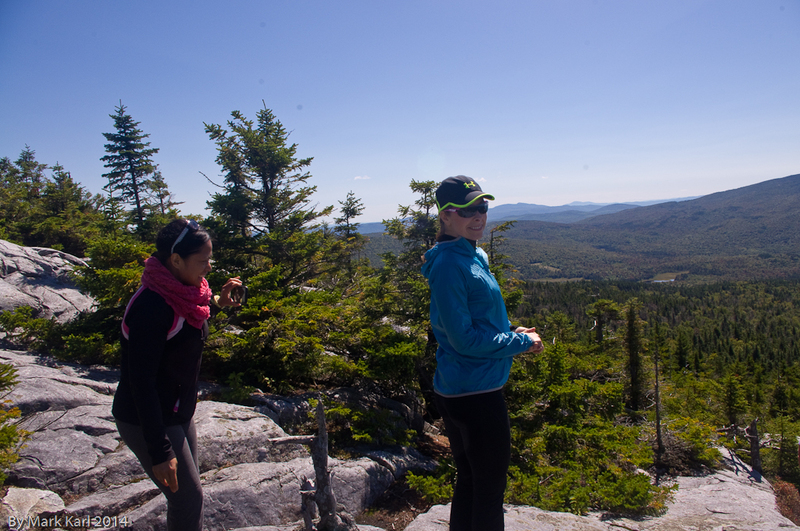 We hung out, ate lunch, and took photos on the south summit for about an hour. I found a survey marker in the rocks on the south peak. It was difficult to read so I took a photo for later research. 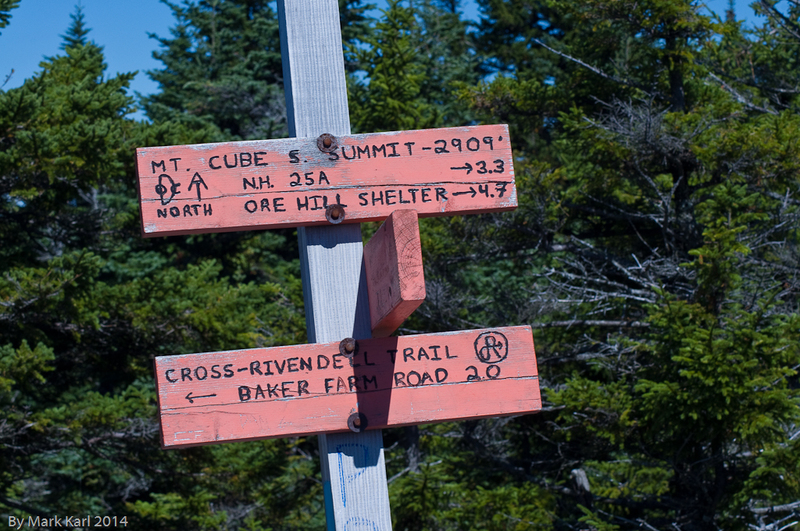 Wikipedia has a great article about these Geodetic Survey Reference markers. 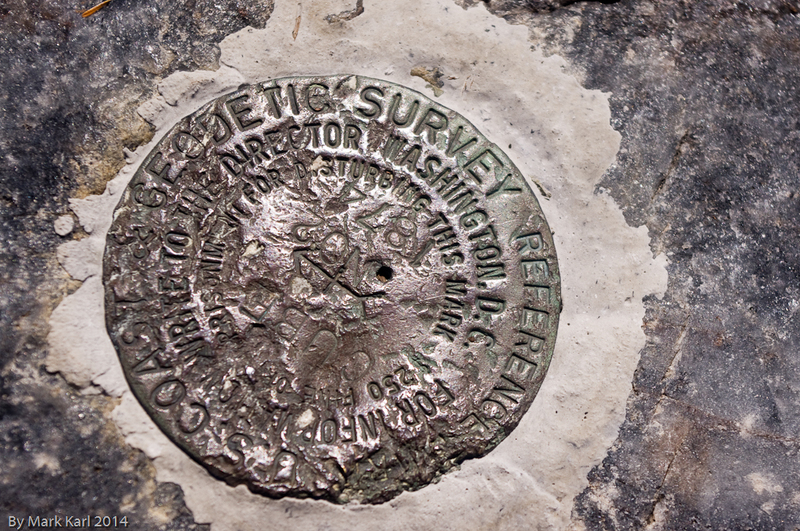 The text on the outside circle says, “Coastal & Geodetic Survey Reference.” The text in the center of the circle says “CUBE” above an arrow symbol. Below the arrow is says, “NO 2.” Below that is the year 1874. The Wikipedia article about the US National Geodetic Survey explains that, “The original predecessor agency of the National Geodetic Survey was the United States Survey of the Coast, created within the United States Department of the Treasury by an Act of Congress on February 10, 1807, to conduct a “Survey of the Coast.” The article later tells us, “In 1871, Congress officially expanded the Coast Survey’s responsibilities to include geodetic surveys in the interior of the country.” The NGS datasheet for this marker describes the original station on Mt. Cube. After lunch we headed over to the north peak for some more great views. 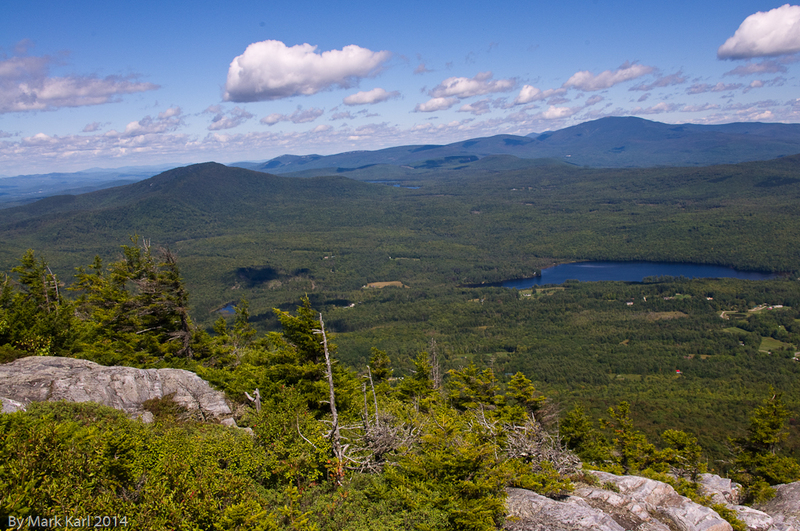 The photo above is showing Upper Baker Pond with Mount Moosilauke in the distance. With less zoom you see Piermont Mt. 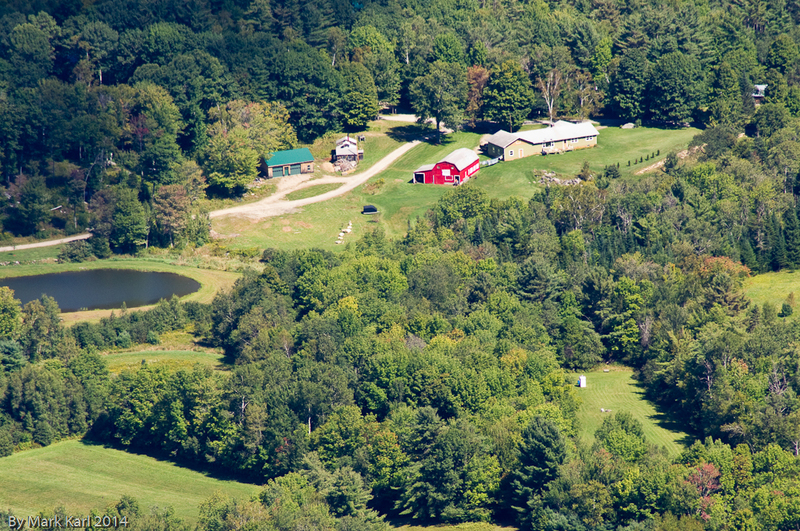 to the left of Upper Baker Pond. Tucked behind Piermont Mt. you can see part of Lake Armington and Lake Tarleton. 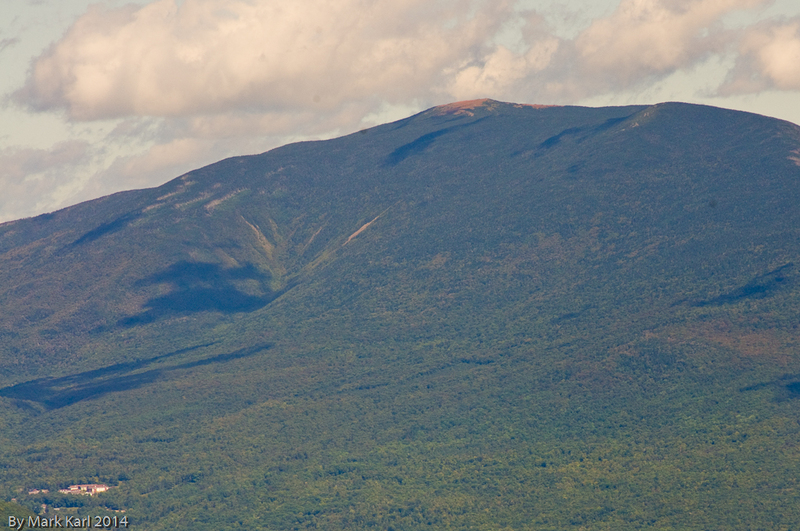 Naturally I had to zoom in on Mooseilauke. I think the building in the lower left corner of the photo is the Glencliff Home for the Elderly. There are some great views a bit closer to the mountain. This is looking at Route 25A at the curve in the road near East Cemetery Rd. This is a few of the houses and a pond along East Cemetery Rd. 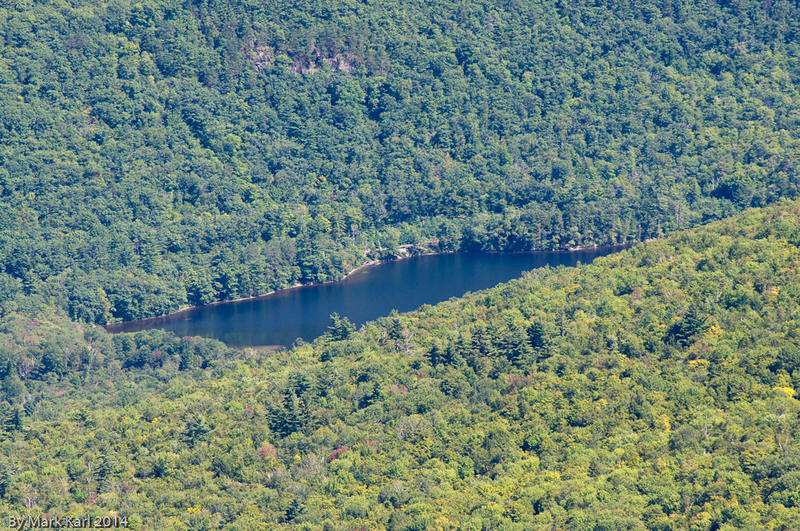 We can also see part of Lower Baker Pond along Rt. 25A. It was a wonderful hike! I would like to try a different trail to the summit next time. Perhaps the Cross Rivendell Trail from Baker Rd., which is a much shorter (but maybe steeper) route to the summit.